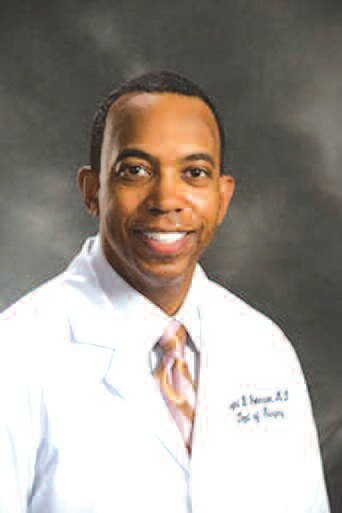 Dr. Lynt B. Johnson was elected to the prestigious Alpha Omega Alpha Honor Medical Society. Dr. Johnson is the Thomas J. Coffey Professor and chairman of the Department of Surgery at Georgetown University Hospital. He is also Chief of Surgical Services. Alpha Omega Alpha is a professional medical organization founded in 1902. It recognizes and advocates for excellence in scholarship and the highest ideals in the medical field. Members have a compelling drive to do well and to advance the medical profession and exemplify the highest standards of professionalism. Students are elected via a process established by the respective chapter and in accordance with the constitution of the society. Membership in the organization is basically for students, however, each chapter may elect one or two faculty members each year. These individuals are selected by a caucus of student members during the senior year. Dr. Johnson, a graduate of Benedictine Military School, Duke University, and Harvard Medical School established the Transplant Institute and International Center for Liver Diseases at Georgetown in 1998. A national recognized leader in transplantation, he has led the Georgetown transplant team in performing many “firsts” in the District area. In 1999, Dr. Johnson and his team performed the first living donor liver transplant in the area and Georgetown is one of the country’s most innovative living donor transplant programs in the Mid-Atlantic region. Prior to coming to Georgetown, he founded the Liver Transplant Program at the University of Maryland at Baltimore. He has been featured in The Washingtonian and The Washington Post. Dr. Johnson is married to Dr. Gloria Bowles- Johnson, an OBGYN at Georgetown. The Johnsons live in McLean, VA with their children, Brittany, Bria, Brandon, Bryce and two dogs. Lynt is the son of Constance and Lester Johnson of Savannah.